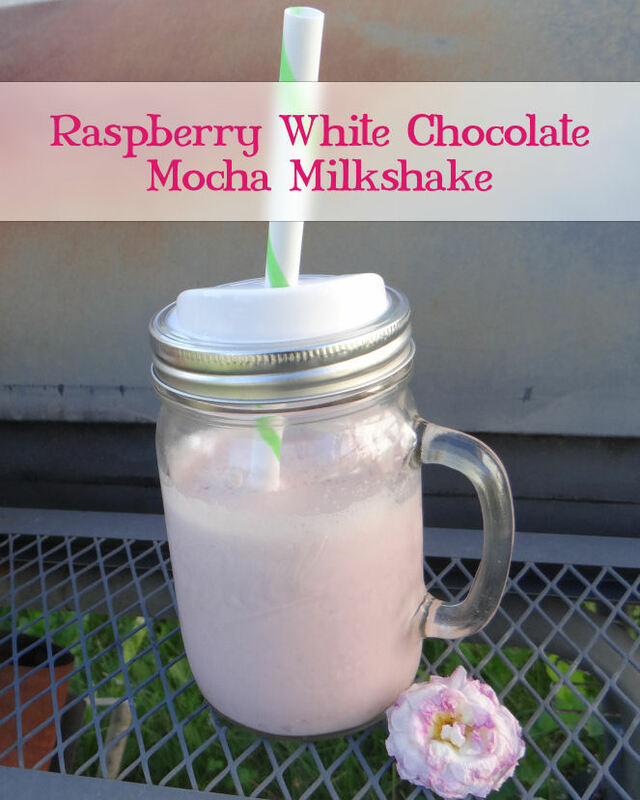 Don't Eat the Paste: Raspberry White Chocolate Mocha MILKSHAKES! So the first thing that I thought of when I saw the Ball® Sip and Straw lids is "Those straws are big enough for thick shakes!" Then discussed with The Turnip Girl the best kind of shake to make. She's wild for frozen coffee drinks, ice cream and as you know, anything chocolate. We talked about the popularity of Raspberry White Chocolate Mochas, so there it was. The perfect shake. She used a BELLA 13984 Rocket Extract Pro Personal Blender . 2 Tbs. instant espresso powder- I like Medaglia D'Oro Instant Espresso Coffee , and keep a jar for adding to baking and other things. Add in 1 cup of vanilla ice cream, 1/4 cup frozen raspberries and blend for a few seconds more to incorporate it. Soo good! The espresso powder makes the coffee flavor nice and strong, and the frozen raspberries taste so much better than raspberry flavored syrups. The photo above was taken by the Turnip Girl, the flower in the photo is one that a little girl in the neighborhood gave her, and she decided it should be in the picture. Isn't it pretty? Like Ball® Canning & Recipes on Facebook for lots of recipe ideas and links.